UGC has recognized the extraordinary and outstanding achievement of M M Modi College in the field of teaching, research and infrastructure by conferring the college with the CPE-II status and with the grant of Rs. 1.60 crores. A total of 72 colleges throughout the country had applied for CPE second phase out of which 32 institutes succeeded in achieving this status. Only two colleges in Punjab have been granted CPE-II status. This recognition is another feather in the cap of achievements of this College. 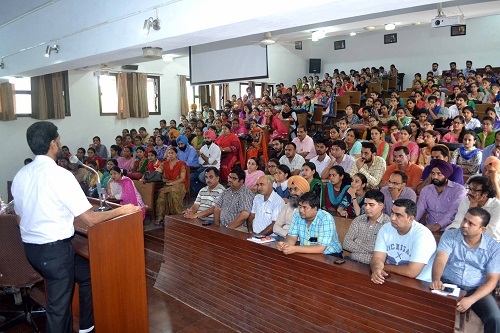 Earlier the college had been granted the first phase of CPE in 2010. The college has also been accredited with grade “A” with CGPA 3.26 by the NAAC and also selected by UGC for starting B.Voc. courses under the Skill Development programme of Govt. of India. Congratulating the Principal and staff for this stupendous achievement, Prof. Surindra Lal and Col. (Retd.) 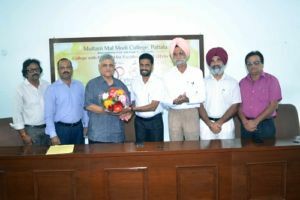 Karminder Singh, Member Management Committee appreciated the commendable job done by the entire staff of the college in general and of UGC team of the college in particular. They also congratulated the Principal of college for this great feat and for the leadership he provided to the entire faculty. On this historic moment, Principal Dr. Khushvinder Kumar congratulated and thanked the entire staff and applauded the contribution of UGC committee convener Prof. Sharwan Kumar and his team. He stressed the need to rededicate and remain focused for the next goal of Centre of Excellence. He shared that this achievement has become possible because of the continuous support and guidance of the Managing Committee of the College and hoped that our mission of affordable quality education will be achieved soon.